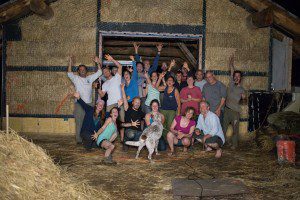 Would you be interested to win a FREE 7-Day, hands-on straw bale workshop in 2018? Well, it’s almost that time of year where the guessing games begin! Don’t know what I’m talking about? You must not have been on our newsletter for the last couple of years or simply weren’t watching while we had fun in the background. Anyway, it’s time for…wait for it… the Straw Bale Workshop Location Guessing Game or SBWLGG for short (try pronouncing that one!). That’s right. The first person to correctly guess the locations of the workshops will win a FREE WORKSHOP! The workshop must take place in 2018 (tuition only, for one person only). All you have to do is be the first person to guess all of the right locations. Of course, you have to be the first person to get that information to me, not just the first to get it right. The game will begin on Friday, November 17th at 8am Pacific Standard Time. I’ll send out another newsletter with a series of hints at that time. Fill out the form in the right sidebar (over there ———->) to sign up for our FREE 16-Day ECourse if don’t already receive our newsletter. This way, you’ll get the hints right away and can shoot for the free workshop spot. 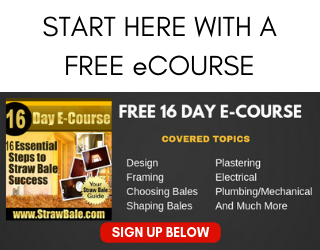 The 16-Day ECourse is fantastic too and totally FREE. Be ready to submit your answers quickly. The last time we did this, we had a winner in less than 5 minutes! We’ll announce the winner (assuming someone wins…) and all of the workshop dates and locations on November 24th at 8am Pacific Standard Time. All of the locations will be on sale, so be sure to take advantage of the discounts. 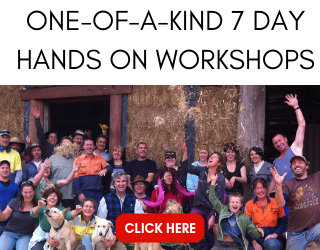 You’ll be able to save up to $300 on each workshop! 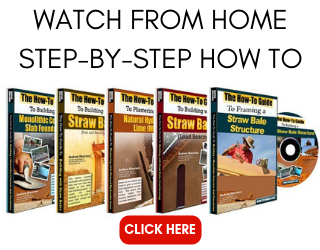 One Response to Win a FREE 7-day, hands-on Straw Bale Workshop in 2018! Dear Lord!? How do you find that out. I will tirelessly search google now!